Kenya’s top court upheld Uhuru Kenyatta’s presidential win, ending three months of electoral uncertainty that have slowed growth in East Africa’s biggest economy. Stocks gained the most in two months. Kenyatta won the rerun fairly and electoral authorities’ failure to hold polling in the country’s western region didn’t invalidate the outcome, the Supreme Court ruled Monday, rejecting all of the petitions challenging the vote. The ruling concluded a standoff that began with an Aug. 8 vote and has weighed on Kenya’s image as one of the continent’s top investment destinations and a regional hub for companies including Alphabet Inc. and Coca-Cola Co. The reaction from opposition leader Raila Odinga, who boycotted the October polls, will be crucial in the wake of protests against Kenyatta’s initial victories that human-rights groups say left as many as 80 people dead. Shares on the Nairobi Securities Exchange rallied after the announcement, with the benchmark FTSE NSE Kenya 25 Index climbing 1.4 percent to the highest level since Sept. 22. The yield on Kenya’s $2 billion of Eurobonds due in June 2024 fell 0.2 percent to 6.03 percent by 11:17 a.m. in Nairobi, the lowest in almost three weeks. The shilling pared its 0.4 percent loss before the ruling to trade 0.2 percent weaker at 103.70 per dollar. 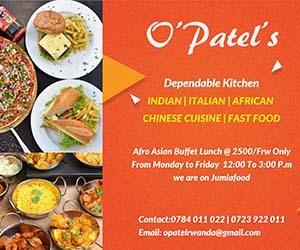 Kenyatta, who’ll be sworn in next week and form a new cabinet, now needs to unite a country that’s so politically divided that some are advocating independence for regions that support the opposition. The world’s largest shipper of black tea is also seeking to reinvigorate growth that’s forecast to slow to 5 percent from 5.8 percent last year and cut unemployment that affects more than a third of the workforce. 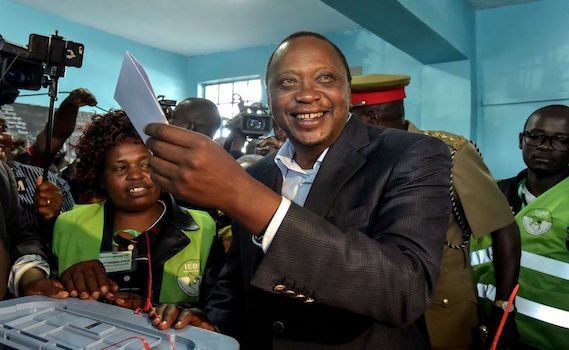 The Supreme Court’s judgment was the second on an electoral outcome this year, after it set an historic precedent for Africa by throwing out Kenyatta’s August victory. Electoral authorities had failed to disprove the opposition’s claim of vote-rigging, it said at the time. Odinga urged supporters to boycott the rerun, saying reforms hadn’t been enacted to allow fair polling. Kenyatta won a landslide in that vote, in which just 38.8 percent of the electorate cast ballots, compared with 79 percent in the first round. The court petitions by a former lawmaker and two activists alleged the electoral body flouted the constitution by failing to hold fresh nominations. A former prime minister who’s now failed in four presidential bids, Odinga vowed to lead a campaign of mass resistance after Kenyatta was initially declared the winner of the second vote. The 72-year-old, who’s blamed previous defeats on vote-rigging, has urged supporters to boycott companies his alliance says backs Kenyatta’s government, including Safaricom Ltd., the region’s biggest mobile operator. The company has denied any wrongdoing. A dispute over the outcome of a 2007 election in Kenya triggered two months of ethnic violence that left more than 1,100 people dead.